A Severe thunderstorm warning has been issued by the Bureau of Meteorology, with several Sunshine Coast suburbs in grasp. PLANES coming into the Coast are being diverted after a lightning strike has knocked out the radio communications system in the Sunshine Coast airport control tower. One Jetstar flight has already been diverted to Brisbane and five other inbound flights could be affected later today. Airport general manager Frank Mondello said the strike sent an electrical current up into the tower knocking out equipment. "We are operating on our after-hours system, and all aircrafts are on the same frequency, so it is operations as normal," Mr Mondello said. "One aircraft was diverted to Brisbane but we understand it is on its way back to the Coast. "One other aircraft has already landed safely. "Our message to passengers is simple, contact the airline about arrivals and departures prior." EARLIER: Three people have been injured in Coolabunia, west of the Sunshine Coast, after hail smashed their car window during a severe storm this afternoon. 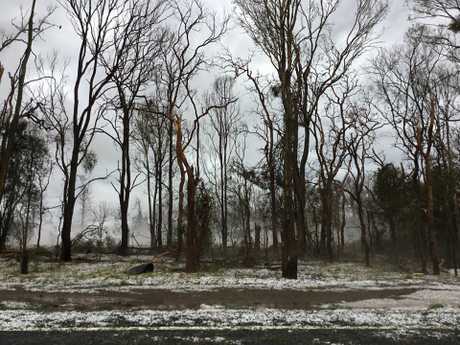 A QAS spokeswoman said on Thursday, October 11, two females, one in their 70s and one in her 20s as well as an infant, sustained light cuts, abrasions and lacerations following hail that smashed into the car window while travelling on the D'Aguilar Hwy between Kingaroy and Nanango. Two crews are on scene assessing the injured patients. 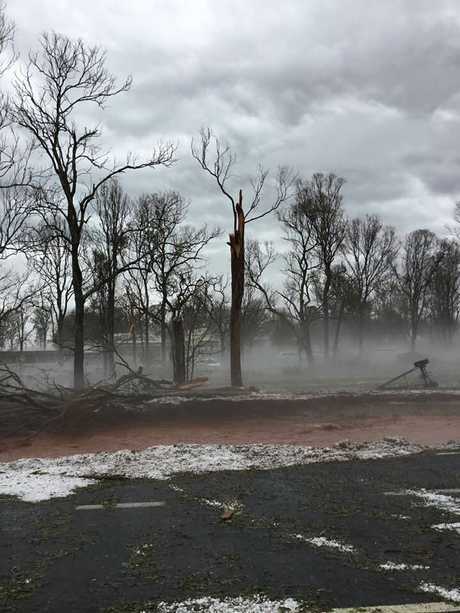 QAS has advised motorists to stay off the section of the D'Aguilar Hwy betweem Kingaroy and Nanango. The Highway is said to be significantly damaged with four or five trees down and up to two inches of hail on the road. SOME Sunshine Coast schools are urging parents to do their school pick-up early as a dangerous storm looms overhead. Brightwater State School took to social media to alert parents of their wishes. "We expect heavy rain and storm activity within the next 30mins," was posted. "Parent's may wish to collect children early particularly children who had ridden or walked to school." INITIAL: A SEVERE thunderstorm warning has been issued for parts of the Sunshine Coast by the Bureau of Meteorology, including damaging winds and tennis ball-sized hail. Damaging winds and large "tennis ball-sized" (6-7cm) hailstones are predicted over the next several hours. The storm is currently hovering near Kingaroy and heading east, with Nambour, Maroochydore, Noosa Heads, Cooroy, Gympie, Rainbow Beach and Nanango in the firing line. The storm tracking towards Kingaroy has been upgraded to very dangerous, with a red threat level. 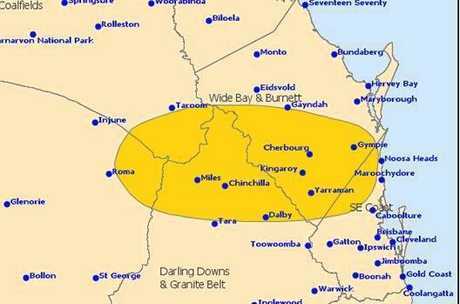 BOM is warning hail the size of tennis balls are expected withing the core of the stormcells. Independent Maleny-based weather forecasters Higgins Storm Chasers are reporting "very dangerous supercell" with the possibility of a "tornado". "Seek shelter now" was their advice. For emergency assistance contact the SES on 132 500. 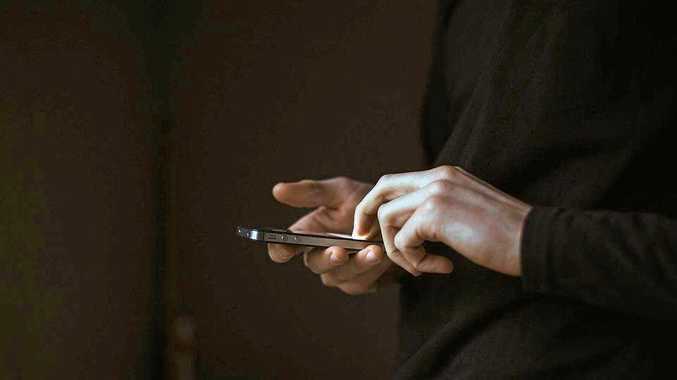 Crime FOUR men who are in custody for other matters have been charged with a range of offences, including the alleged content of a phone inside a prison.